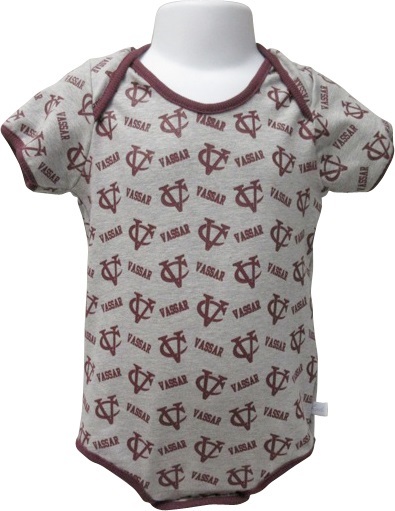 This adorable onesie will subliminally have the parent and infant longing to be a Vassar Alum right from the start. 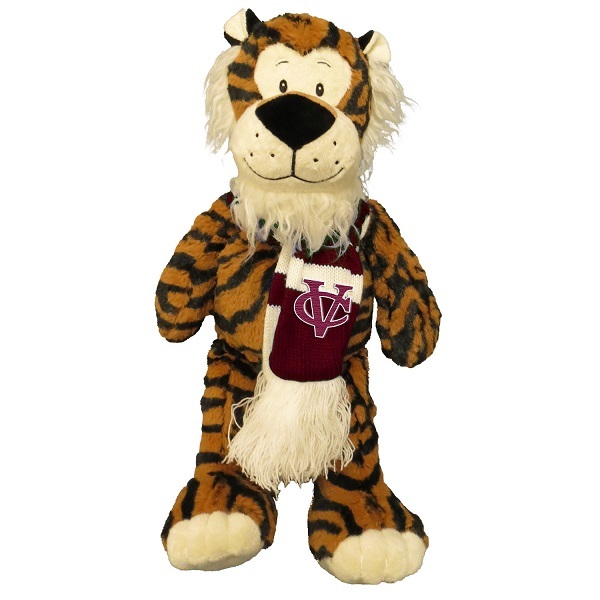 Even more cute in person, the mobile graphic features interlocking Vc's and Vassar letteing on the blocks. Time to say Awwwww. Please select option for CI SPORT BABY RIB ONESIE. This adorable short sleeve Tee is the perfect choice for the Vassar alum to purchase for a Grandson or Grand daughter. It is fabricated of 99% cotton and 1% poly. This is a great way to welcome that new arrival! Please select option for CI SPORT HI I'M NEW HERE TODDLER TEE. LAUREN FLOWER SLEEVELESS MAROON FEATURES VC LOGO ON LEFT LEG. 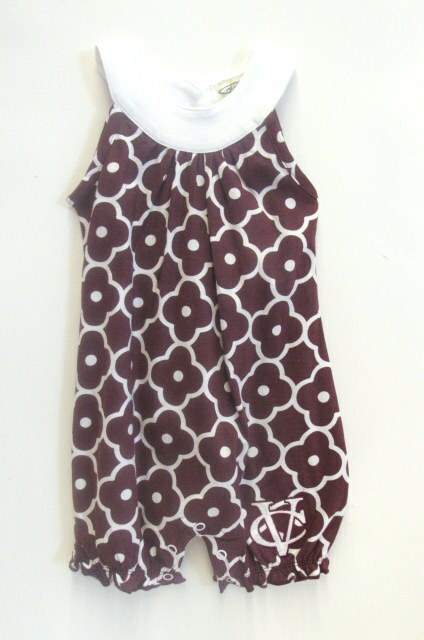 Please select option for LAUREN FLOWER SLEEVELESS MAROON. LEGACY Vintage inspired Toddler Hat with embroidered 3D Vassar Logo. Made to look like the grown ups hat! 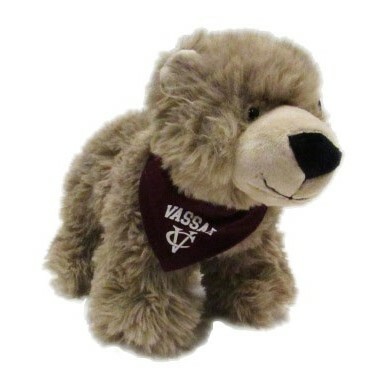 JP Bear is available in three colors and the varsity jacket only serves to make him more adorable. Please select option for MASCOT FACTORY JP BEAR. KRAZY KAT is available in two colors and the knit scarf with embroidered Vassar logo has this Kitty ready for winter on the Quad! Please select option for MASCOT FACTORY KRAZY KATS. Could these little bears be any cuter? The fun colors will coordinate with any room. In this case we recommend pairs so they don't get lonely. Please select option for MASCOT FACTORY SNUGGLE. New at Vassar, the Side line collection. We have the merchandise that you will see on the sports field this fall. This NIKE Youth Legend Long Sleeve Tee in 100% polyester features DRI-FIT technology and features a unique Vassar logo specific to the collection. Please select option for NIKE YOUTH LEGEND LONG SLEEVE TEE. Please select option for SKYLAR INFANT VC ONESIE. Please select option for TAMMY 2 PACK ONESIE. Please select option for THIRD STREET DIAPER SHIRT. Made in USA this VASSAR Infant Onesie pairs perfect with the gray Bib. Made of cotton and cut and sewn in Missouri, a quality and stylish gift for the new arrival. Please select option for THIRD STREET INFANT VASSAR ONESIE. 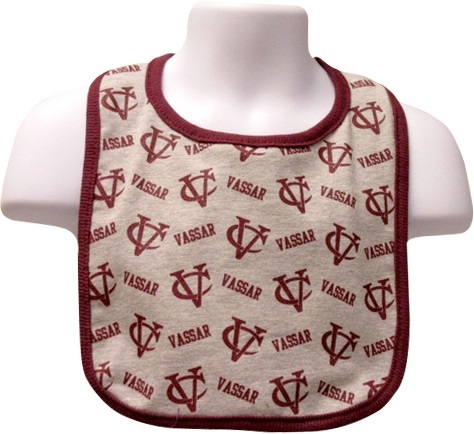 Made in USA this VASSAR Infant Bib features the interlocking VC as well as the classic Vassar Logo. Made of cotton with a touch of Spandex. The Maroon print and trim look great on the gray bib. 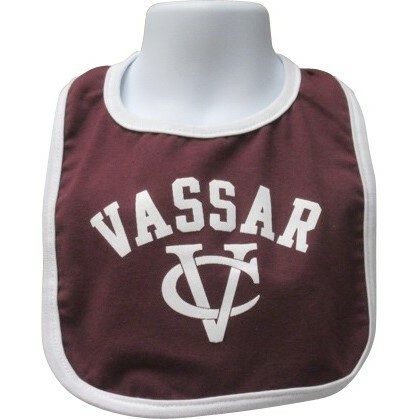 Made in USA this VASSAR Baby Bib is the perfect gift for the addition. Made of cotton with a touch of Spandex. Made in USA this VASSAR Girls Tee is 100% cotton and features a fun Graphic. Build her spirit early with this quality Shirt. Please select option for THIRD STREET VASSAR GIRL TEE. Please select option for TOMMY 2 PACK INFANT ONESIE. 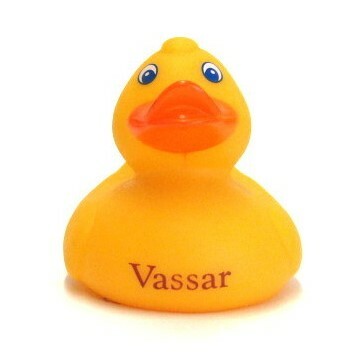 Please select option for VASSAR COLLEGE BUBBLES ROMPER BLUE. 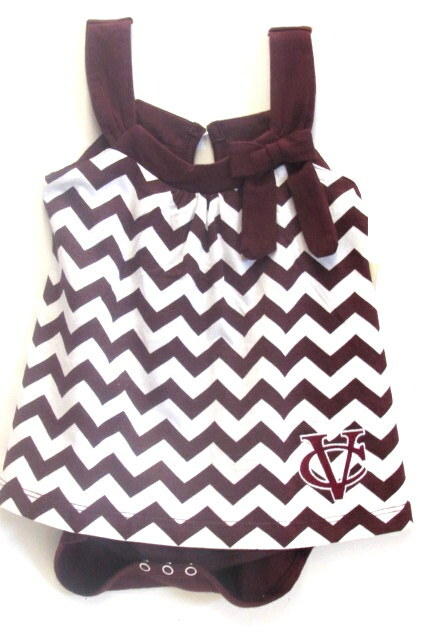 Please select option for VASSAR COLLEGE PINK INFANT ROMPER. VC INFANT ONESIE WHITE "A.D. 1861"
Please select option for VC INFANT ONESIE WHITE "A.D. 1861".